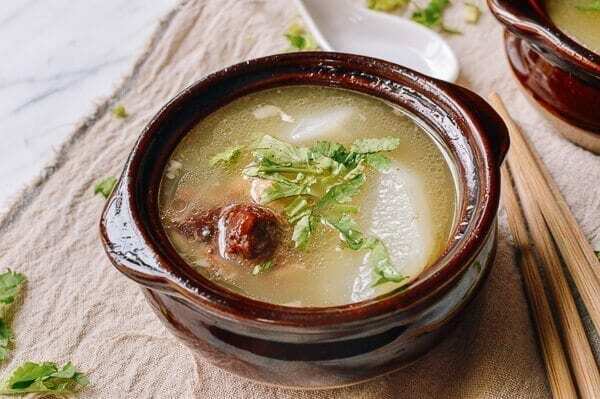 This oxtail soup uses simple ingredients like onions and turnips that round out the meaty flavor of the oxtails resulting in a balanced flavorful soup. Preheat the oven to 350 degrees Fahrenheit. Rinse the oxtails under cold running water, and pat dry with a paper towel. Arrange them on a baking sheet and roast for 30-40 minutes. While the oxtails are roasting, add 12 cups of water to a stockpot. Add the onions and roasted oxtails, and bring to a boil. Immediately turn the heat down to a very low simmer. (Avoid letting the heat get to high, or you’ll boil off all your liquid!). Simmer for about 6 hours (the longer the better) with the lid covered. Remember to skim off the fat periodically. About 30 minutes before you’re ready to serve, add the turnips. Simmer until tender, and salt the soup to taste. Serve, garnished with chopped cilantro.